The F.S. King Historic District has many standing historical buildings that date back to the beginning of the property such as the first building, the log house. It was was built with massive unhewn logs that were one foot in diameter. 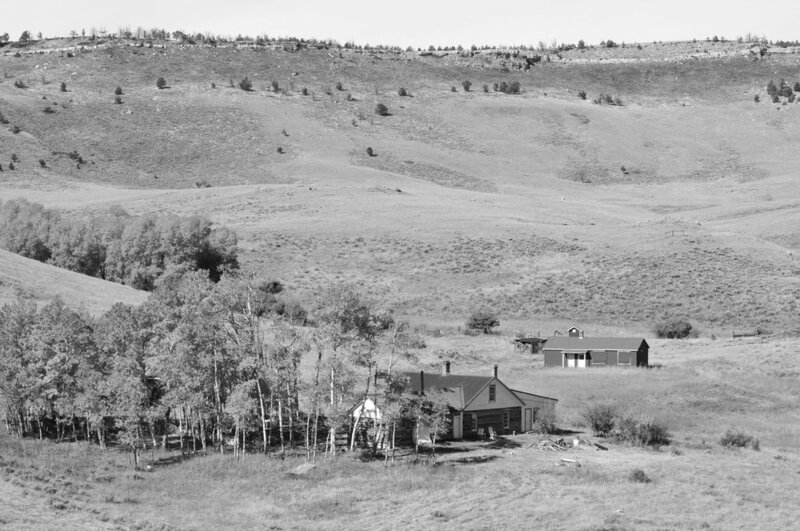 The original house was built in 1896, which served as living quarters and a base for the King’s sheep ranch operations. The house is in excellent condition and the interior has maintained its original layout. Photo depicts remaining structures of the F.S. King Brothers Historic District. Credit to Jim Mackenzie. There are seven other standing properties on the homestead such as the barn, bunkhouse, chicken coup, blacksmith shop which were all built in the early time of the homestead. These properties show the early history of the property while the garage and pump house are examples of later additions to the homestead. The garage was built in 1928 and the Pump house that was built in 1940 which contains a good example of rancher ingenuity - an Old Model T engine used to power the water pump. These remaining buildings stand frozen in time from when they were built in the early twentieth century. On September 2nd, come experience the history these buildings tell at our F.S. King Brothers Ranch Homestead tour and dinner.